Hello YOU from Motivating Mum! If you haven’t been to The Business Bakery before then *welcome*. We’ve got lots of lovely stuff to help people like you make money from your handmade, homebased, boutique or solo business. Feel free to look around. You might like to start with our Daily Juice blog and you might like to get our FREE weekly Snacks of businessy bits + bobs! If you’re really serious about making a Healthy Income from your small business, we think you’ll love our Kitchen. It’s the home of our Healthy Income Program. You can read all about it here. If you’d like to join the program we’d LOVE to see you in there! 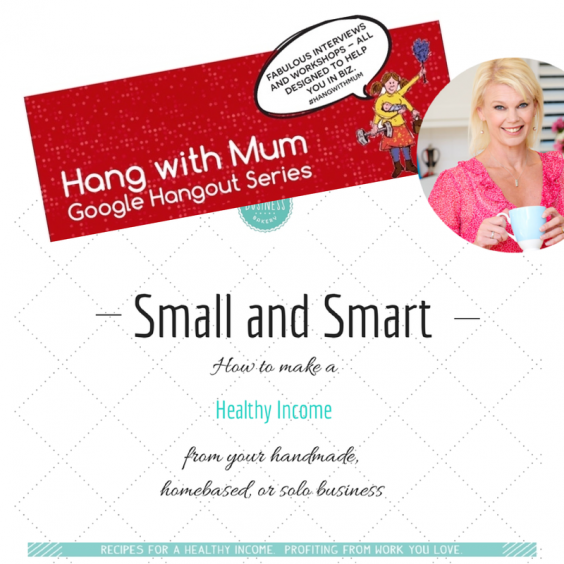 It normally costs $35 a month but ‘cos you attended the Motivating Mum webinar we’ve got a special offer just for you! You can get a whole year’s membership – which costs $420 – for just $280! YAY! If you’re keen to buy the voucher you need to do so before midnight on Thursday 31 July. After that you’re still super-welcome to join us but at the normal monthly rate. The next Cookalong starts on 1 September 2014 which I know is still a few weeks away…. But we’ll open the warm up for our voucher holders VERY soon (so you can get a head start!) AND you can join our very fabulous and totally secret Facebook community straight away! Get your YEARLY Kitchen access for $280 HERE! Happy Christmas! Happy New Year! Happy Everything! The Creative Collection giveaway! Small and Smart! How to make a Healthy Income from your small business Here’s what THEY said!